To Create a New Order in the mobile app, press the "NEW" button at the top of the screen. 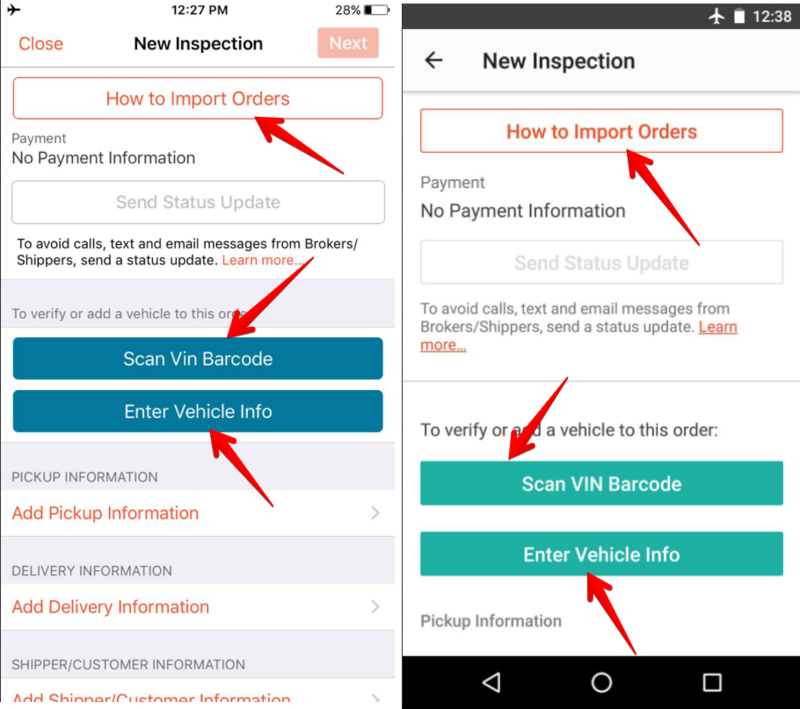 There, you will see instructions on "How to Import Orders," "Scan VIN Barcode" or "Enter Vehicle Info" manually. 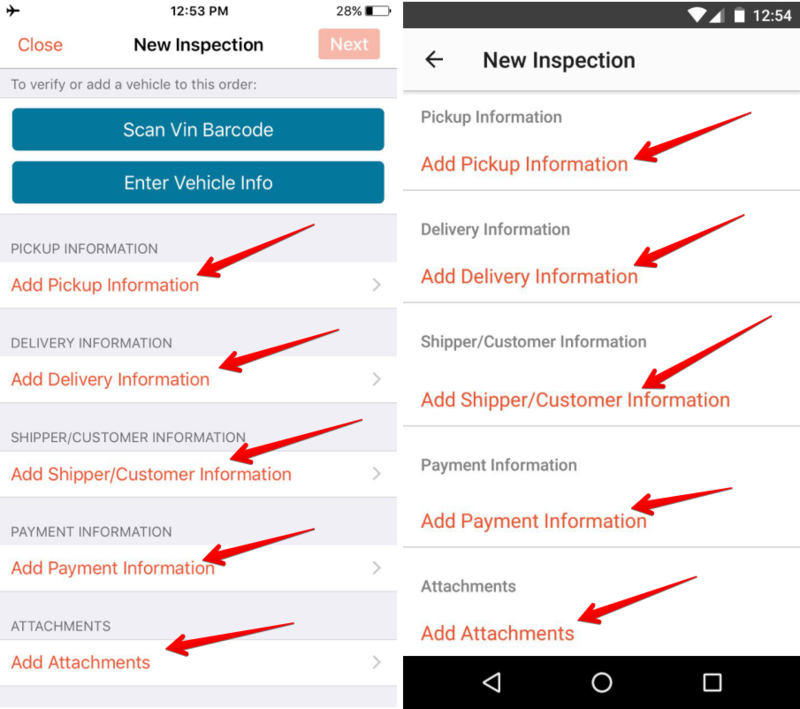 You can also Add/Edit Pickup/Delivery and Shipper/Customer Information , as well as Add Attachments (such as gate passes). Note: These options are disabled when Fleet Mode is selected in the Dispatch Dashboard.